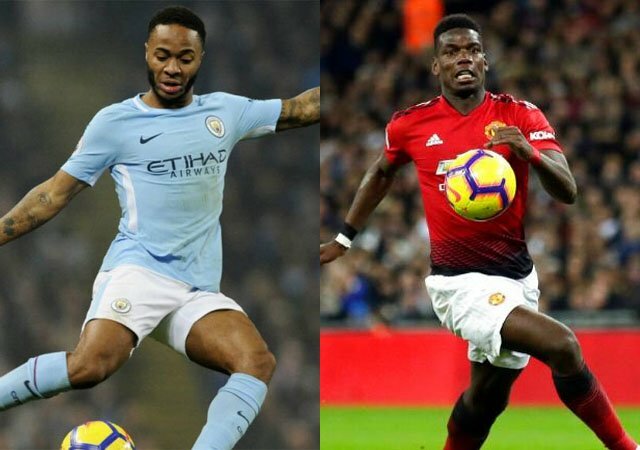 The weekend saw further drama erupt in England as Liverpool and Manchester City continued their toe-to-toe march towards the Premier League title with crucial victories over Chelsea and Crystal Palace respectively. Manchester United and Tottenham meanwhile continued their hunt for Champions League qualification, and with further action happening all over England. We take a look at all the top performers this weekend in the Premier League. The Spanish shot-stopper was rarely called upon, but once again proved his mettle when it mattered the most by making an athletic save crucially at 1-1 from Antonio to set up the Paul Pogba winner that moved Manchester United above Arsenal into 5th. De Gea will be relieved to have finally put in another crucial performance for United ahead of the fixture against Barcelona in midweek. The English left back provided a crucial assist for Newcastle’s monumental win at Leicester, and was a defensive rock in the left snuffing out any danger that came his way. Rafa Benitez will be pleased by his up and down performance approaching the crucial stages of the season. A constant in any team of the week at the moment, with yet another rock-solid display in the heart of the Liverpool defence against a motivated Chelsea side that looked threatening on the counter. Liverpool and Alisson have yet another clean sheet to add to their records this season. A surprise inclusion in the squad courtesy of an intelligent display in the centre of his defence line for Southampton on course to a 3-1 win over in-form Wolverhampton Wanderers. The 5 men defensive system seems to be working wonders for the Japanese international. Tottenham’s replacement for Kyle Walkers had a great performance albeit against a relegated Huddersfield town that displayed attacking as well as defensive prowess in a potential displaying match for the young full back. The young full back provided threatening balls and supported Son down the right as well. Continued his fine run of form as he came up with two assists and a goal in a huge 5-0 away win over Brighton and Hove Albion that saw them move up to 12th in the Premier League table. Bournemouth’s best player by far at the moment. Showed the world exactly why Pep rested him midweek with a classic KdB performance that saw an eye of the needle pass that split open the Crystal Palace defense to open the floodgates for a crucial 3-1 win at Selhurst Park. Pep will be glad to find his Belgian superstar back in form ahead of their Champions League clash against Tottenham on Wednesday. Tottenham will have no cause for worry with the injury of Harry Kane as the Brazilian stepped up to the plate to score a sensational hat-trick, his first in Europe to send Tottenham to third in the Premier League table. Mauricio Pochettino is sure to have a welcome headache with his team selection against City on Wednesday. An on and off performance saw Paul Pogba score 2 crucial penalties that kept Manchester United’s hopes of a UEFA Champions League qualification spot alive. Pogba is now on the best season of his career with 16 goals and 9 assists. Made up for his glaring miss in the first half with a sensational run and added a second later on as he set up an important win for City over Palace in the penultimate stages of the Premier League title run-in. The English winger continues to grow under Pep and is sure to become one of the best players in the world in the very near future. Continued his run of ‘bad form against the top 6’ by scoring an absolutely sensational goal into the net of Kepa Arrizabalaga that gave Liverpool a much-needed win over Chelsea and pushed them back to the top of the Premier League table. Salah is currently level on the race for the golden boot in the Premier League with 19 goals, same as Sergio Aguero.